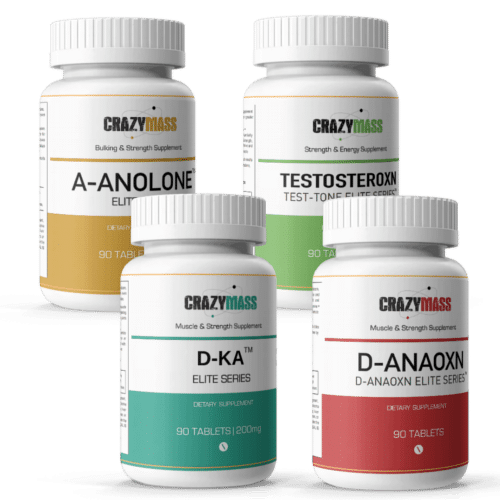 SKU: strength-stack Categories: Bodybuilding Supplements For Maximum Performance, Buy Legal Steroid Alternatives, Top Legal Steroid Alternative Stacks, Which Supplement Is Right For Me? 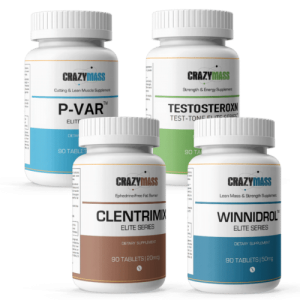 CrazyMass Strength StackTM – CRAZY Strength Gains! Hitting your plateau? Want to increase your bench by 5, 10, 40 lbs? 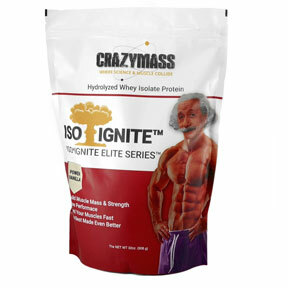 Then the CrazyMass Strength Stack is for you. We took FOUR of our best-selling strength-building supplements and combined them into a stack to help you quickly build lean muscle and increase strength, so you shatter your goals. 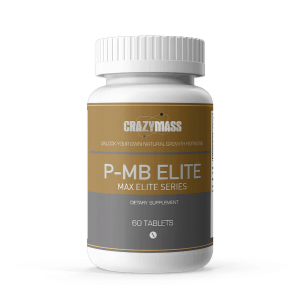 All of our CrazyMass products are formulated to synergistically work together to provide out sized results and you save like CRAZY! D-Anaoxn creates a highly anabolic environment and increases nitrogen retention in muscle tissue, which allows increased protein synthesis and results in impressive strength and mass gains. 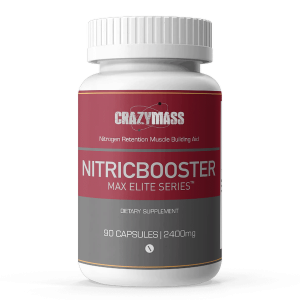 This premium bodybuilding supplement is the legal all-natural alternative to Dianabol. 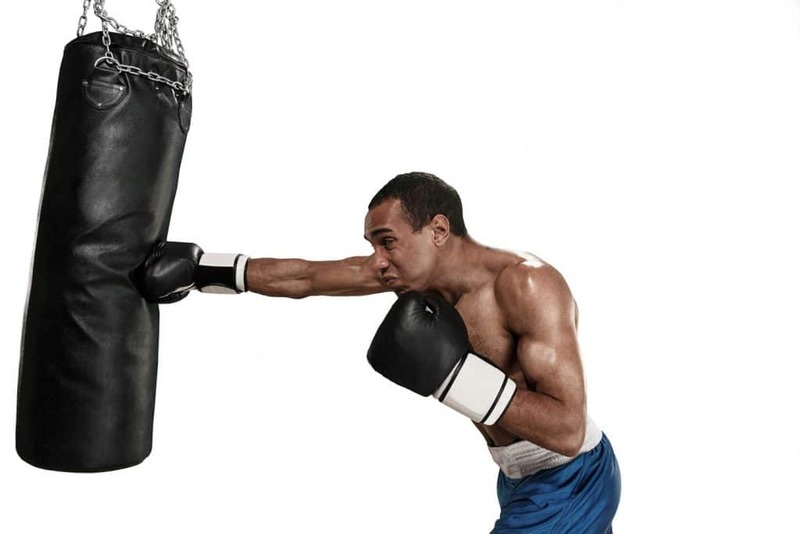 Testosteroxn is an energy and strength booster and is a legal all-natural alternative to Testosterone (Test). Maximize your energy! A-Analone is a potent anabolic formula increases the production of red blood cells and delays fatigue. Increased oxygen transportation will give mind-blowing pumps and allow you to stack on the muscle. 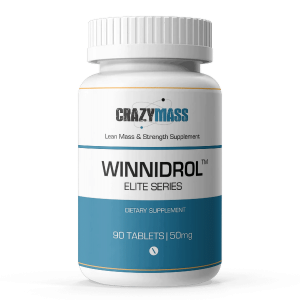 This safe legal all-natural alternative to the Anadrol will keep you pumping iron! D-KA increases muscle mass, speeds recovery and helps ease joint pain by increasing nitrogen and collagen synthesis. This top-selling all-natural supplement mimics the benefits of Deca-Durabolin, without the harmful side effects. CRAZY Strength and Muscle Gains! Take one pill from each bottle as one serving. You can take up to three servings per day, take each serving with a snack or meal and drink 8-10 large glasses of water a day. Take each serving with a minimum of five hours between servings. If taking three strength stack servings per day, your stack should last about 4 weeks. You can take the product(s) for up to eight weeks before taking 10 days off from our strength supplement stack. Try to take one of the servings 30-40 minutes before you work out, and we recommend an ISO-Ignite Protein Shake one hour pre- and post-workout; the shake seems to ignite the ingredients in our products. I have used this product for two weeks, and already I have seen over a 20% increase in Strength. I did not take the full dose, I backed off to 2x daily for each in the “Stength” stack and saw impressive gains. I’m very pleased with this product and company. Stop wasting your money on other products that make grandiose promises, and fail to deliver. Buy this stack, and watch the muscles grow!